It is the vision and mission of the Music Ministry at St. Joseph Parish to support the liturgy at all times, to welcome and encourage full participation of the community in sung prayer and to welcome and foster the talents and gifts of the members of the music ministry and community. 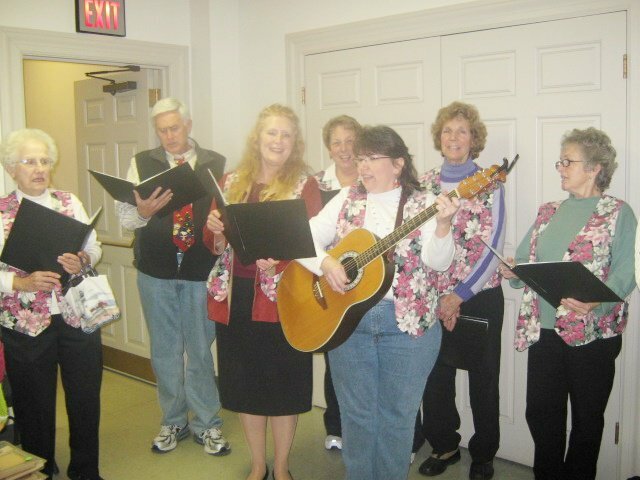 The choir rehearses on Monday evenings from 7:00 p.m. to 8:00 p.m. September through May. Jeanne Breton, our Director of Music, invites new members to consider joining the choir. Choir rehearsal begins on Monday, September 14 at 7:00 PM. Call Jeanne at 524-8469 or see her after Mass for more information.